“Intensive Vegetable Gardening”, with Elaina Asselin and Gregory Hill from Wicklow Way Farm, is the second in the Cobourg Ecology Garden’s Spring Speaker Series. The presentation will be held on Tuesday, April 14 at 7:00 p.m., in the Rotary Room at the Cobourg Public Library. 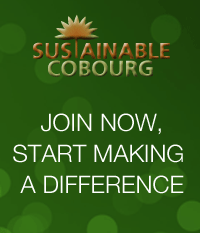 For more info, go to the Cobourg Ecology Garden website. This entry was posted in Food & Organics, Gardening, News 2015 and tagged Cobourg, environment, farmers, food, sustainability. Bookmark the permalink.